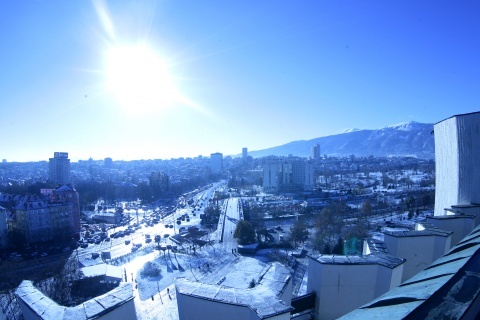 Following the first winter spell of bitingly cold weather for this year, the sun is shining over Bulgaria again with forecasts promising temperatures of up to 20°C. Bulgaria saw a significant change in the weather on Wednesday afternoon after being hit by the first snow falls, rainy storms and gusty winds over the last few days. Thursday will strike a sweltering 20°C in the southern regions, while in Sofia the mercury will go up to 17°C. There will be light wind along the Black Sea coast, where the temperature of the water is expected to reach 14°C. Forecasts say the glorious sun is here to stay by the weekend, when shower spells and a fall in temperatures can be expected.